A business card can be a great way of advertising your company, following a meeting with a client or potential client it’s a great way to make sure you are remembered. Don’t fall into the trap of your card looking identical everybody else in your field – stand out from the pack. 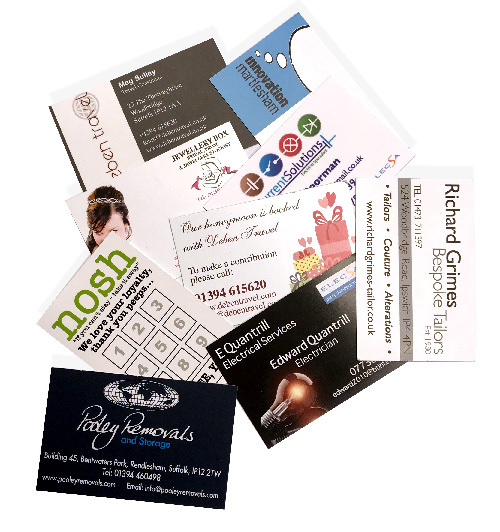 It’s your chance to impress, which is why we create cost-effective bespoke business cards of the highest quality. We have a range of different cards to suit all tastes…. Talk to us so we can find something that suits you, and your budget…. remember your card is your way to impress and be remembered.